Part of the Honeysuckle family, but nothing at all like the fragrant climbing members of the group. 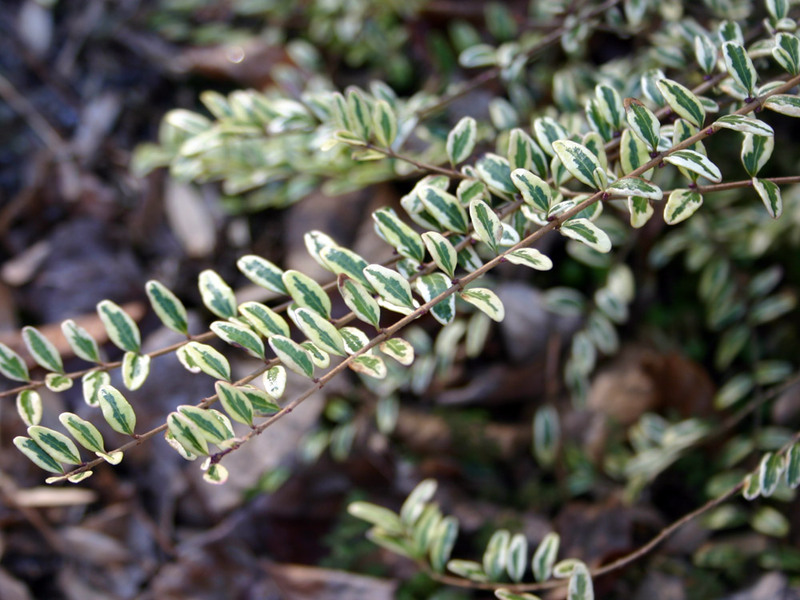 Lonicera nitida is a bushy, evergreen hardy shrub. 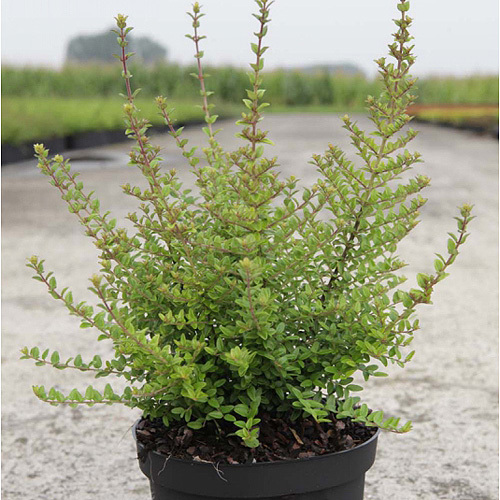 It is sometimes known as "poor man's box" a reference to the fact that while similar to box, it is not so neat and formal, but also considerably faster growing and therefore much cheaper to buy - and also much quicker to establish as a hedge. 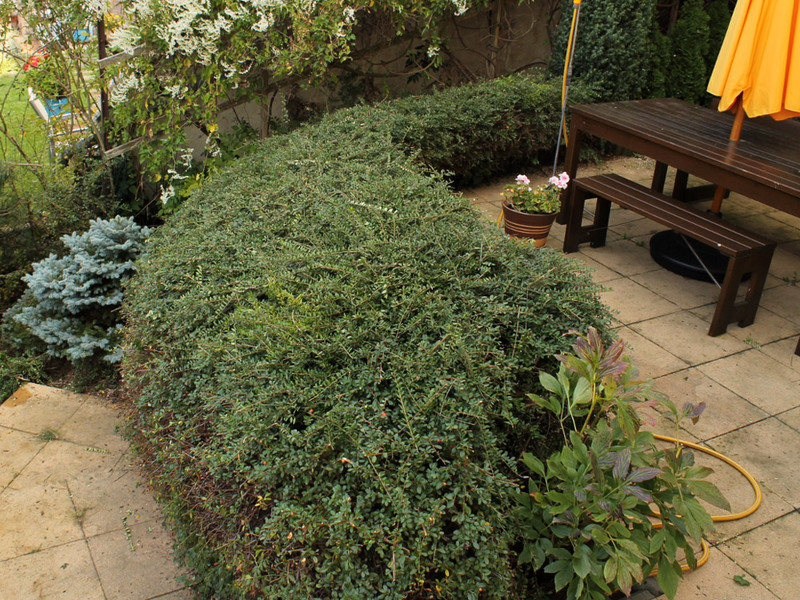 The ordinary green variety makes a good dense hedge, closer knit and smaller leaved than privet. 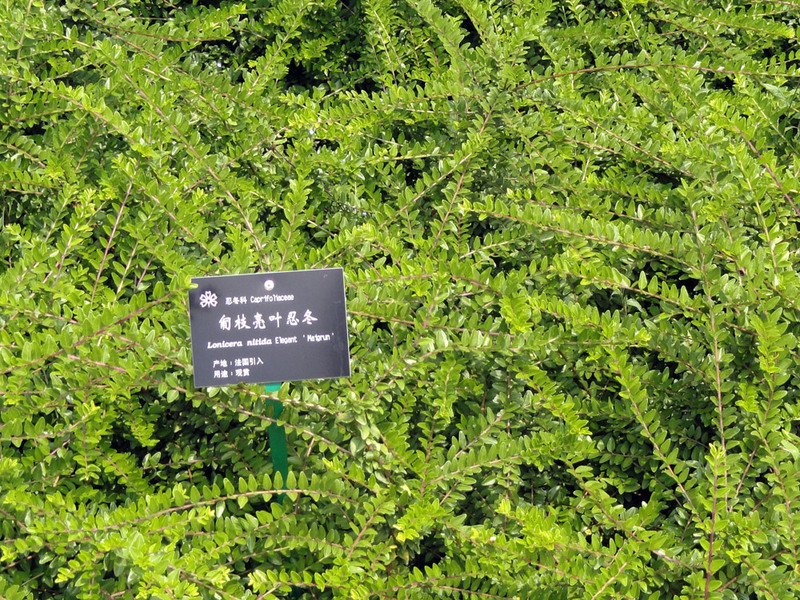 There is a yellow-leaved variety called "Baggesen's Gold" that is slower growing and smaller than the green one. 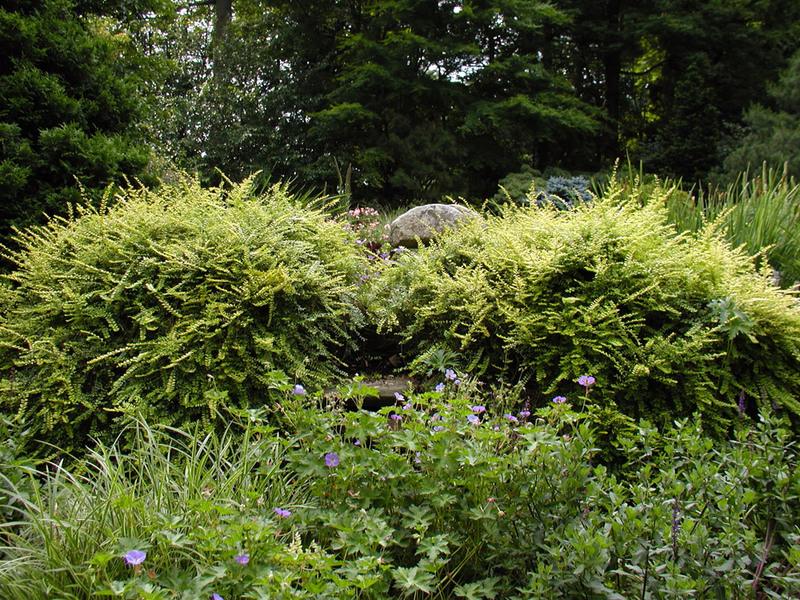 Grow "Baggesen's Gold" in full sun for the best colour, it can be used also as a hedging plant, or as a useful addition to a mixed border if left to grow informally, the yellow leaves adding a welcome bright patch. Responds to renovation? : Yes- complete renovation can be achieved by cutting the whole plant to within 15cm, 6" of the ground. Photo credits: (numbering left to right top to bottom) 1-I Sacek senior - Creative Commons Attribution 1.0 license. universal / 2-Lonicera nitida Public domain / 3-User SB Johnny - Creative Commons Attribution 3.0 Unported license. / 4-User SB Johnny2 - Creative Commons Attribution 3.0 Unported license.